Over the course of the four years since I’ve made my debut in Christian historical romance, I’ll have created story worlds in colonial Philadelphia, Civil War era & Early American Virginia, turn-of-the-century Michigan, post-Civil War era Kansas and Michigan, and WWII era Michigan. By year five, I’ll have published fifteen Christian historical romances and my favorite thing now, in my writing, is to carryover characters from one story world to another. As a hybrid author, I have Indie-published one series (The Christy Family Lumber Camp Series) and have started another (The Christy Cousins Series) but I’ve been under contract lately for a number of novella collections and published a novel with Barbour Publishing. But I still like to “hang out” with some of the characters I’ve already developed even when I don’t have a series going! So, what I did, so I could spend more time with my characters from other stories, is go back to some of their parents’ stories or to their siblings’ or other family members’ stories. I’m at the point that my wonderful web designer is going to be making another page for me so we can find favorite characters in a chart where is shows what books the characters are in. Right now, I am writing “The Sugarplum Ladies” which takes place in post-Civil War Detroit/Windsor for The Victorian Brides Collection (Barbour Publishing, September 2017). 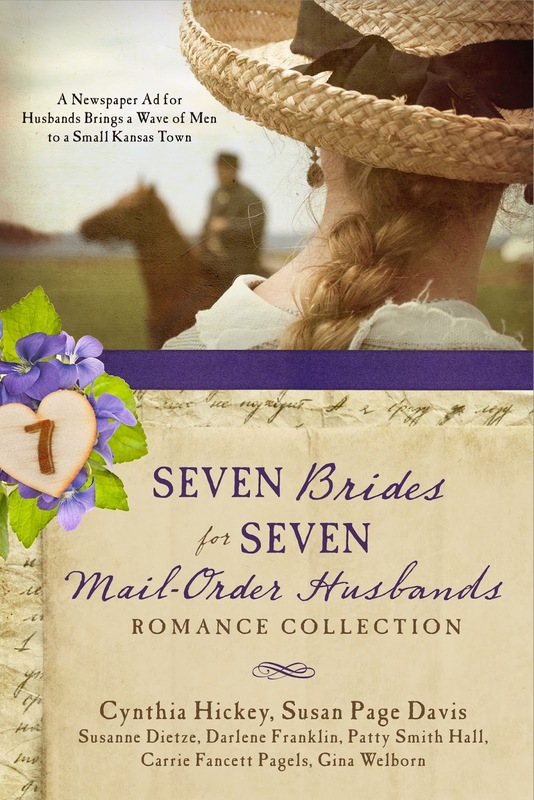 And I’m carrying over characters from “Dime Novel Suitor” in Seven Brides for Seven Mail-Order Husbands (June 2017) a double ECPA bestseller. And from my Romantic Times Book Reviews Top Pick Inspirational novel, My Heart Belongs on Mackinac Island, I’m carrying over a couple of my heroine Maude Welling’s family members into the story as well. 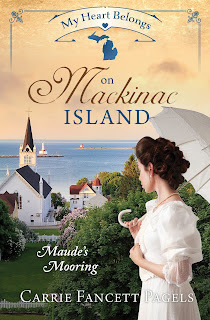 Once I complete “Sugarplum Ladies”, I’ll be writing another novella, set on Mackinac Island in 1896, for the Great Lakes Lighthouse Romances (Barbour, November, 2018) and I’ll be popping Maude and her family members as well as Christy family members into that story. And I’m working on another couple of projects that include more time with my favorite characters as secondary characters in stories set on Mackinac Island! I always love reading stories where characters I’ve already “met” show up. And spending more time in the same story world allows me to tell about the story world from different perspectives. For instance, in my upcoming release “His Anchor” in First Love Forever from Barbour (April, 2018) Maude Welling’s best friend, Sadie Duvall, gets to tell her story. And since she’s from an impoverished and difficult background, she views 1895 Mackinac Island quite differently than Maude did in her book. Looking for more of Maude’s friends and family—check out my Maggie Award finalist in novellas 2016, The Substitute Bride, where Maude’s mother makes an appearance as does another key “mystery” character who plays prominently in My Heart Belongs on Mackinac Island: Maude’s Mooring. GIVEAWAY: Leave a comment about overlapping story worlds for a chance to win a copy of winner’s choice of any of my books. Carrie Fancett Pagels, Ph.D., is the award-winning author of fifteen Christian historical romances, including ECPA bestsellers. Twenty-five years as a psychologist didn't "cure" her overactive imagination! A self-professed “history geek,” she resides with her family in the Historic Triangle of Virginia but grew up as a “Yooper.” Carrie loves to read, bake, bead, and travel – but not all at the same time! You can connect with her at www.CarrieFancettPagels.com. 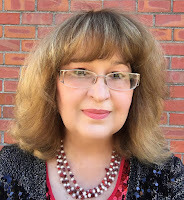 Thanx for the guest blog by Carrie Pagels. Sometimes overlapping story worlds are fun! I always want to learn more about my favorite characters. It encourages the reader to follow up on more books from that author. Good for the author and good for the reader. Readers can trust getting a story they will enjoy! Hi Jennifer! Thanks for coming by! I love to read more about fave characters, too. I think that is why I love series. I enjoy reading stories that are linked by location or characters. It let us get to know the people and places better. I am excited about this giveaway!!! I love overlapping stories to see where the characters develop. Thanks for the giveaway! Kimberly Daniska Villalva sent me this message: Loved your interview! I tried to post a comment about overlapping stories but google wasn't cooperating! :) Just wanted you to know how great your post was! I LOVE that you are overlapping the stories! Some of my favorite books do that, and it makes me feel like I know the characters better. Really enjoyed this post, and looking forward to one day saying that I have read ALL of your books! I love to read stories, where a character has been in a previous novel or novella that I've read! Sometimes I have to go back and read the first story to refresh my memory, which is always fun to do. love overlapping stories. They all seem to come together and flow beautifully. I LOVE overlapping stories! That way, even when I've finished a story, I don't have to leave all the characters I've come to love behind! Hi Crissy! Thanks for swinging by all the way from Michigan's beautiful Upper Peninsula! Hi MICHELE, I love getting to know a setting from different perspectives and all from the same author usually but some, like Seven Brides for Seven Mail-Order Husbands is fun because all seven of us wrote a small post-Civil War town from our own perspectives. Hi BECKY! I hope you get to know ALL my characters some day too! Blessings! Thank you for the interview. I love it when one book overlaps characters and a new series is born. But I like to read them in order. Thank you for the giveaway opportunity. I love overlapping story worlds, even if you don't make a series out of it, it allows me to "check in" on previous books' characters and get some peace of mind. I also love stories where those characters I've already met turn up. I also like where authors collaborate with surprise visits from characters from each other's series.